This week is National Parks Week in the UK, so we thought it might be a timely moment to bring you an article about why we love them. A strange topic, you might think, for a blog that mostly concerns itself with Lego and photos of decaying piles of stone, but in fact, National Parks provide us with a great deal of inspiration. Our National Parks aren’t just wildernesses to be preserved like enormous cumbersome museum exhibits, they’re vibrant fluid entities, embracing history and culture as much as nature and conservation. 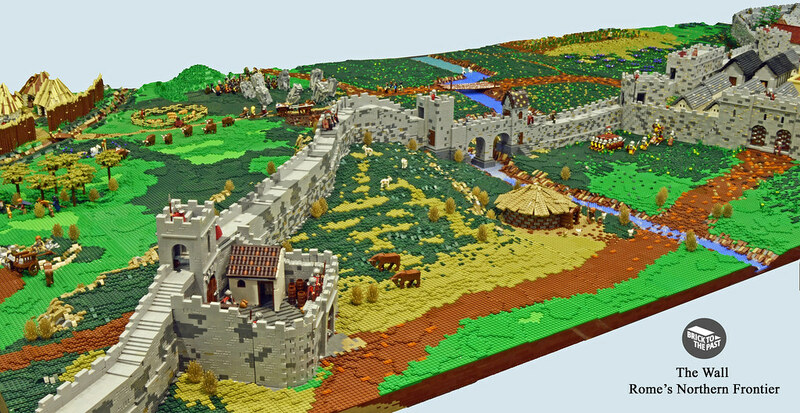 Their landscapes are the product of thousands of years of interaction between man and environment, and it’s this interaction that provides us with the rich and infinitely diverse subject matter that proves so popular in Lego form. The real Hadrian's Wall in Northumberland National Park. 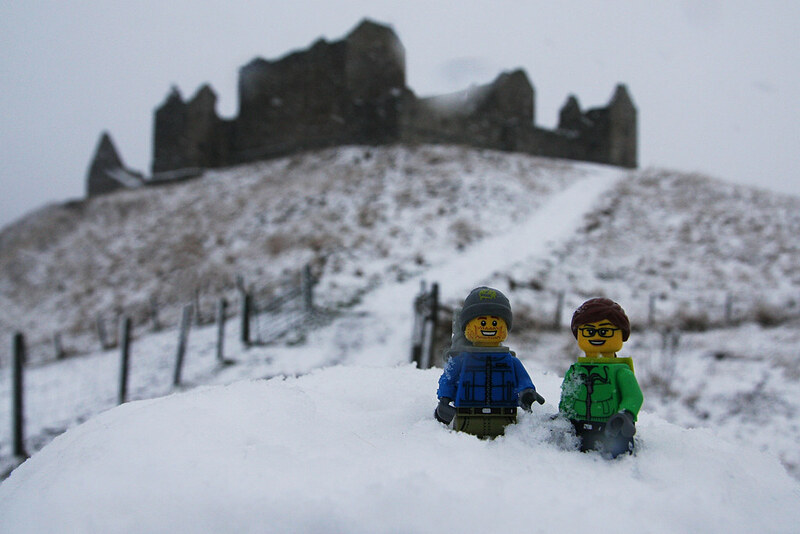 Lego Hadrian's Wall, like the real one, but with better weather. By now I think it’s fair to say that we’re well accustomed to creating massive sprawling landscapes that test our reserves of dark green and reddish brown, but landscapes aren’t just endless expanses of pasture and peat bog, they’re also made of buildings and ruins and of course, decaying piles of stone. To date, our largest model of a National Park’s landscape is 2015’s ‘The Wall: Rome’s Northern Frontier’, a sixteen square metre intricately detailed depiction of Hadrian’s Wall. 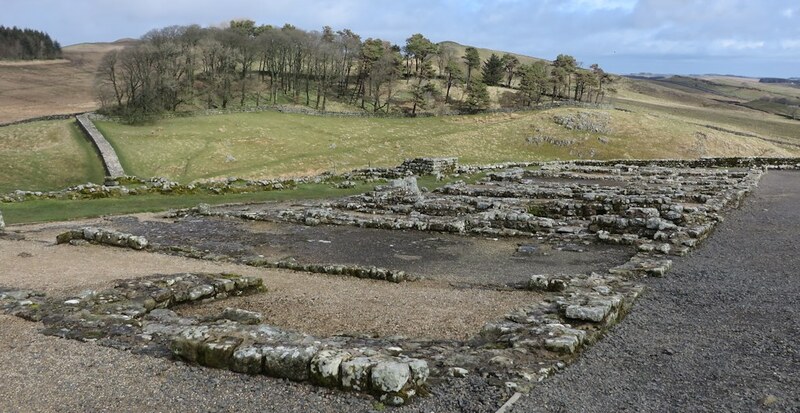 Some of the Wall’s most iconic and best preserved sections are located within the Northumberland National Park, including Housesteads Roman Fort, which provided much of the source material for our own fort. We of course undertook a field trip to Housesteads, walked a section of the wall, chatted to English Heritage’s knowledgeable staff and generally had a good poke around. The visit proved invaluable and, in our own inflated opinion of our work, it’s reflected in the quality of the build. 2017 will once again see us drawing heavily on the history and landscape of one of Britain’s iconic National Parks. At the moment we’ll leave you guessing as to its identity, but needless to say, we have big plans for this one, it is after all, a big Park. Field trips are already underway; stay tuned for further clues, updates and, in the not too distant future, a big announcement. Could this blurry snowbound ruin be a thinly-veiled clue to 2017’s big build? Anyway, the point is we love our National Parks and we love building bits of them. Don’t forget, this week is National Parks Week, so put down your phone, tablet or computer and get out and enjoy one... or two or three if you can manage it.